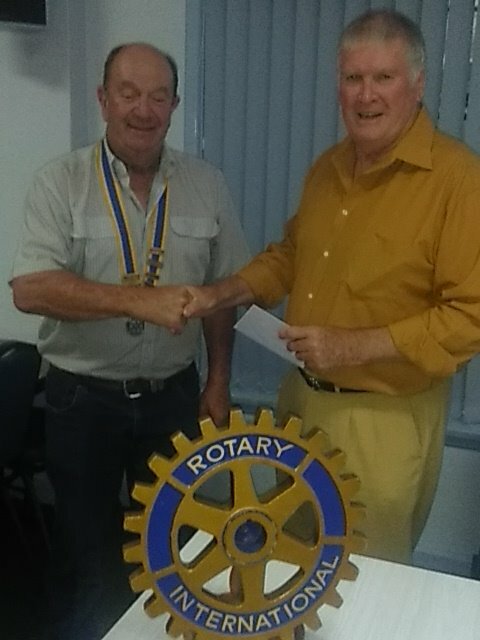 Brian Chapman presenting a cheque to the President of the Rotary Club Tamworth West. Congratulations Stan and Southern Zone for getting your donation to the farmers in north-west NSW, via the West Tamworth Rotary Club. And congrats too to Brian and the Tamworth West President for your quick response in getting funds out to needy farmers at this particular time of year. I’m sure your actions will help to make Christmas a lot more enjoyable for quite a few families. It’s wonderful to see that the Rotary network can be used to deliver help in this way. As individuals, we may not feel we want this kind of publicity but making this donation more widely known may help other Rotarians to use their personal Rotary contacts to offer similar help where needed. Lucy Haslam made a promise to her son, Dan. She aimed to achieve legal access of Medicinal Cannabis for all Australians. On the first anniversary of his death from cancer in February 2015, the Federal Government passed legislation which would allow Medicinal Cannabis use by sick Australians. 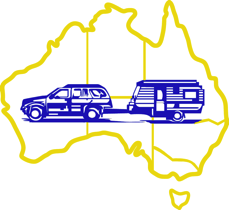 The National AGM of the Recreational Vehicles Fellowship of Rotarians (RVFR) held in Tamworth included a dinner with Lucy Haslam as guest speaker. She captivated her audience, from three States, with her story of courage and persistence to realise Dan’s legacy to us. Dan is the reason for “not for profit” UNITED IN COMPASSION which has established a scientific advisory council. UIC, through education and patient support, hopes to promote Medicinal Cannabis as an acceptable treatment option. The Hummingbird “symbolises great courage, determination and is a totem of fearlessness and represents lightness of being. The Hummingbird is a symbol of all things good.” This logo honours Daniel Haslam. The RVFR attendees were so impressed with Lucy Haslam, she was invited to return to receive some thousands of dollars, collected among the members and was awarded a Paul Harris Fellowship, a very prestigious honour. 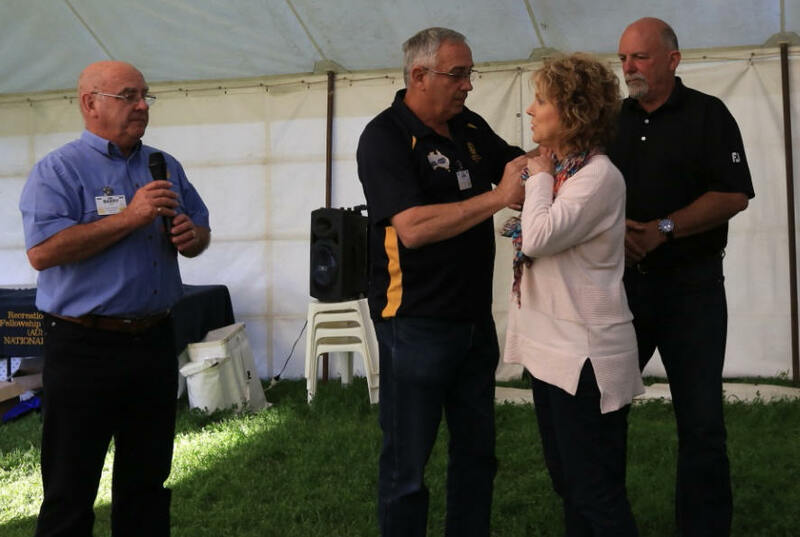 Rotary Past District Governor, Barry Hacker, RVFR National Secretary, John Spath, pinning on Lucy Haslam’s Paul Harris Fellow badge, watched by Lucy’s husband Lou. Well here we are in Bathurst at our National Muster. Bathurst incidently are celebrating their 200th Anniversary. 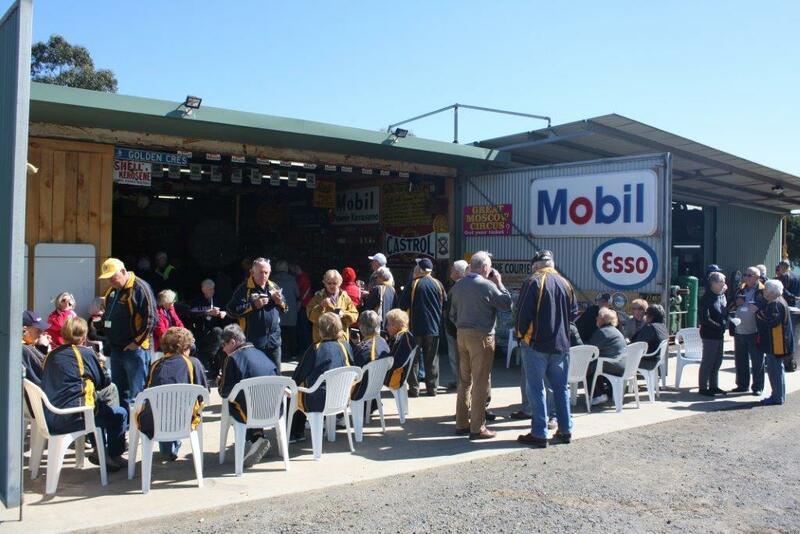 A great program has been organised by the Central West Zone, headed up by Boss Drover Brian Burke. Yesterday we headed off to Orange. We all met at the "Two Fat Ladies" Cafe at Lucknow, then headed off on a Tag-Along Tour of Orange, visiting their beautiful Botanic Gardens and A.B. Pattersons bitrh home, which has recently been restored. From there we headed through town to Lake Canobolas for a picnic lunch. We then headed up Mt Canobolas to see the wonderful view of the surrounding country and photo shoot. See photo above. From there home via Millthorpe where most of us enjoyed a delightful afternoon tea. Everyone seems to be enjoying themselves though one well travelled Rotarian seems to be having trouble with his plumbing. Though with the help of numerous other travellers he seems to be getting on top of it. Ask him about "Gardenias"! So watch out for more information and photos. On Friday 30 May 2014 prior to the Rotary International Convention over 100 Rotarians and partners, all members of RVFR or their guests undertook a dinner cruise aboard Captain Cook Cruise's John Cadman. As well as having a wonderful meal we also enjoyed the spectacular Sydney Vivid Lights Display. Sydney's buildings including the Opera House and Harbour bridge and Pylons were illuminated in startling changing colours. Above is a picture of the Opera House in one of its many transformations with a yacht coming into view, taken by our own member Peter Hamilton. The whole motley crew ready for our boat trip. magnificent day it was, too. The wine flowed freely and the commentary was excellent. The bird feeding was a highlight, with several different birds spotted. On disembarking we were whisked over the road to Gabriel’s Café, where a hot and cold seafood platter (with more wine) was devoured before the coach trip back to the caravan park. Pambula Beach Discovery Holiday Park is on the south coast of New South Wales. This park was chosen because of the excellent facilities to hold a muster. 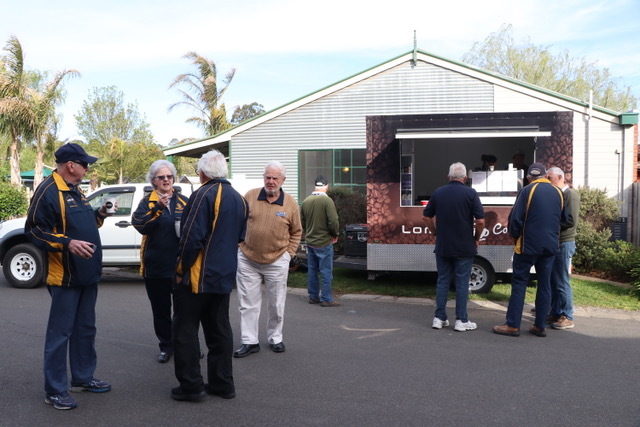 There was a great entertainment centre which hosted a number of our functions. We finished with 83 attendees from four different zones. 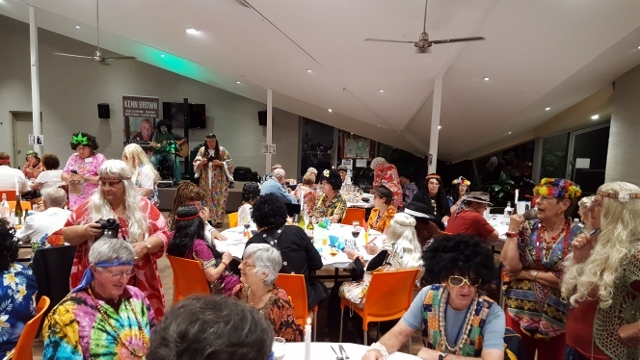 Activities included a visit to Green Cape Light House, a whale watching cruise, a visit to Tilba Tilba, lunch at Bermagui, a film night, a trivia night, a golf day, a photography day, an entertainment and dinner night at the local surf club and a joint meeting with Pambula Rotary Club. 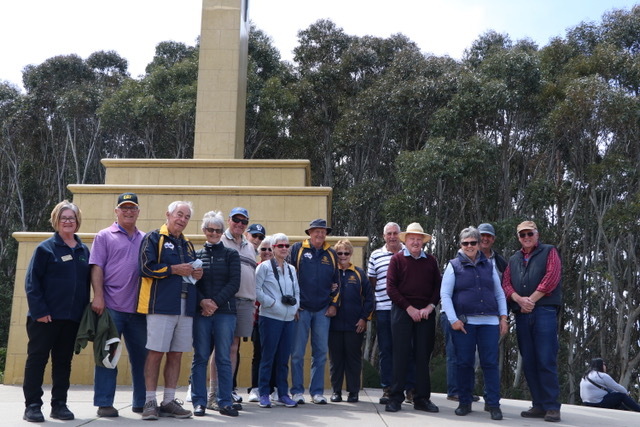 There were also a number of free days for individuals to explore the area around Merimbula, Bega, Eden and even some went as far as Bombala. Well the great adventure is over and the jet lag is now diminishing. We got back safely to the UK, only to be greeted by a garden that was two feet high in grass and weeds. The English summer had come early and following our ‘Wettest Winter Ever’ things just grew and grew while we were away. Eillen and I just want to put on record our greatest thanks to all that participated in the Sydney experience and afterwards on the RVFR Tagalong Muster - both Aussies and those from further afield. It was an experience never to forget, made more memorable by the efforts of the Aussie Brigade to ensure that we had a good time - whether we wanted to or not! Of course, John and Heather Spath deserve special mention for all their efforts in making the Tagalong go so smoothly, but, on a personal level both to David and Kesley Court and Lis and Brian Chapman for being our personal ‘guides’, giving service above and beyond the call of duty! So, once again, many thanks to all concerned. If you are in UK, you are always welcome at our house - and also on a ICFR caravan / camper van rally. Just shout! Looking forward to the ‘reunion’ in Atlanta 2017. Our experience at the Rotary International World Convention was wonderful, right from the opening ceremony where our Prime Minister Tony Abbottbspole of the great work undertakem by Rotary. He then went on to confirm his government's pledge to donate $100 million to Rotary's Polio Plus Campaign (over four years) to help eradicate polio, The Opening Ceremony then concluded with an outstanding performance by "Human' Nature" with their Motown sound, an Australian group that make their home Las Vegas. The Convention concluded on Wednesdaywith the great sound of the "Ten Tenors" and the beautiful voice of Marina Prior. In between we were motivated by a great variety of speakers with the wonderful work they were undertaking. The guest speakers were all very interesting and spoke enthusiastically on their subject and therefore made Rotarians very proud of their organisation. The administration was all very organised getting people in and out of the auditorium. The Hall of Friendship with it's many stalls and stage where lots of artists performed throughout the day allowing visitors to sit down for a while and relax. During the afternoon there were numerous breakout sessions that one could attend and gain further knowledge on a different Rotary aspect. There were frequent buses throughout the day which transported us from the caravan park at Lane Cove to Homebush and return. Our location at Lane Cove Caravan Park was sensational. Close to town, on the railway line and set on the border of the National Park. Our organisers the Spaths, Rubins and Meyers did a great jobin setting up the park, including erecting alarge marque for happy hour(s), meeting and meals. In fact on the Tuesday night the 160 odd Rotarians and Partners staying there entertained about 30 overseas Rotarians and partners to a paella dinner. A great fellowship and friendship night enjoyed by all. Apply to become a RVFR member. The Photo Gallery has been revamped. New photos would be appreciated - please email them to webmaster@rvfr-aus.org.au with a brief description, date and name of photographer. The 2018 AGM will be held at Ballarat Victoria, 10-17 October 2018, arranged by the Southern Zone. The Twentieth Anniversary of RVFR (Aust) was celebrated in Sydney on 3 June 2013.